Copper Patina is a chemical that turns solder a copper colour. 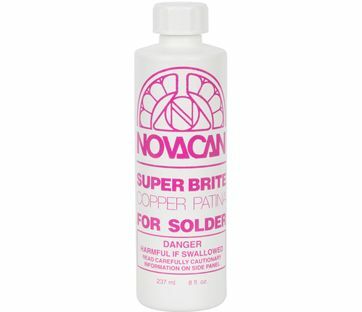 Simply brush onto your solder after cleaning thoroughly with soapy water to remove any flux residue. The patina reacts with the tin content in the solder, changing its colour. 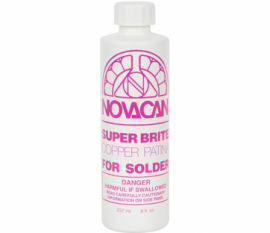 Best applied with a flux/patina brush. Safety Data available upon request.